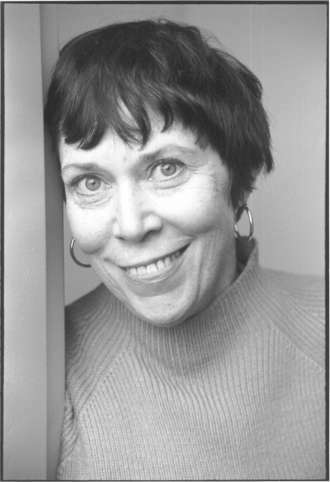 Playwright/Screenwriter Karen Sunde was first an actor. Off-Broadway she performed many leading roles and became Associate Director of CSC Repertory. Her plays have been performed Off-Broadway, in regional theatres, on a USA tour, in eleven countries, in seven languages. As screenwriter (adapting her plays) Sunde’s won the Gold Prize from Hollywood Screenwriting Contest for IN A KINGDOM BY THE SEA; HOW HIS BRIDE CAME TO ABRAHAM is an “Official Selection” at Oaxaca Film Festival (www.abrahamfilm.org); UNDERCOVER PATRIOT was finalist at Sundance, THE FASTEST WOMAN ALIVE adapted for Howard S Shulman Productions, NYC. Among her plays: Shakespeare’s DARK LADY, produced Abbey Theatre, Ireland; Aalborg State Theatre, Denmark; BALLOON, produced CSC won three VILLAGER awards Off-Broadway, nominated Best Play by Outer Critics Circle; in French, aired by Radio France; TO MOSCOW premiered Ankara National Theatre, Turkey; Chain Lightning, NYC. PLAYS BY KAREN SUNDE includes TRUTH TAKES A HOLIDAY; IN A KINGDOM BY THE SEA produced Playwrights Theatre of New Jersey; HOW HIS BRIDE CAME TO ABRAHAM, produced PTNJ; Praxis Theatre Project, NYC; The Unicorn, Kansas City. HAITI: A DREAM in FACING FORWARD, produced Seven Stages, Atlanta; radio play produced WNYC, aired WHYY, NPR. ANTON, HIMSELF for Actors Theatre of Louisville, played the Moscow Art Theatre and Yalta Festival in Russia; Peoples Light and Theatre, PA. THE FASTEST WOMAN ALIVE produced Luna Stage, NJ; Praxis, NYC; the Edinburgh Festival. KABUKI OTHELLO, produced People’s Light and Theatre; Annenberg Center, Philadelphia; Wisdom Bridge, Chicago. KABUKI LADY MACBETH produced Chicago Shakespeare Theater, cited for five JEFF Awards. ACHILLES (a Kabuki play) toured Hungary, Cyprus, Japan. Sunde cowrote musical QUASIMODO, produced Byrdcliffe Festival, Woodstock, NY; Lahti City Theatre, Finland. For Cheltenham Center, Philadelphia, Sunde wrote LA PUCELLE (Me & Joan) and DADDY’S GONE AHUNTING (Tracking Blood White); for Chain Lightning, WHEN REAL LIFE BEGINS. Scenes from TO MOSCOW; ANTON, HIMSELF; MASHA, TOO; HOW HIS BRIDE CAME TO ABRAHAM appear in SCENES & MONOLOGS FROM THE BEST NEW PLAYS. Sunde lives in New York City and is faculty at New Hampshire Institute of Art’s “Writing for Stage and Screen” MFA program.